I left the house at 4:15 am, when I arrived the sky was clear, and the stars filled the sky. I choose to shoot early instead of the evening as there were no crowds and makes it easy to work with. I set up and began taking a few shots, of an idea I wanted to try out with some LED lights, then the low fog moved in, just enough to catch the light emitted from the lighthouse. 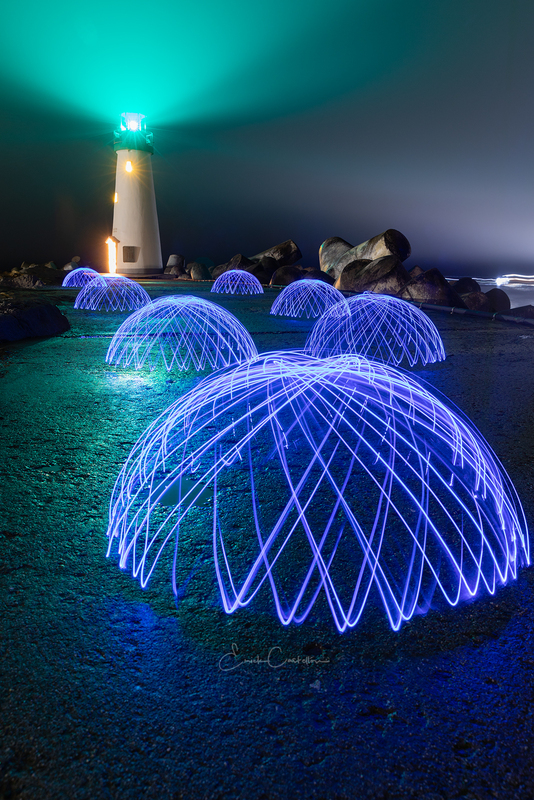 This is a single shot, I exposed long enough to provide ample time to create the individual domes domes. Next time I'll work with a better comp.